This was a long one, folks! It was stressful, hectic and just insane -- I'm happy it's over. I know this weekend is going to fly by though and I will feel just as crazed on Monday morning. However, I will do my best to be present and not get ahead of myself. It's one of my biggest problems, really. This week was also inspirational in a sense; I mentioned it last week but I have really been feeling Lilly Pulitzer lately. I always go through these phases when I become obsessed with different retailers, brands etc. I go through it a lot with Kate Spade, I recently went through it with Henri Bendel and now I'm back at where it started, Lilly Pulitzer. If you've been reading the blog for a while, you know how much I loved Lilly back in the day but after college, it kind of took a backseat. Now, I'm back at square one and obsessed with all things color! I purchased so many pre-loved Lilly Pulitzer things from Poshmark this week and ordered this dress (which already arrived and I'm obsessed). It has definitely been a highlight of the week and has kept me feeling happy. 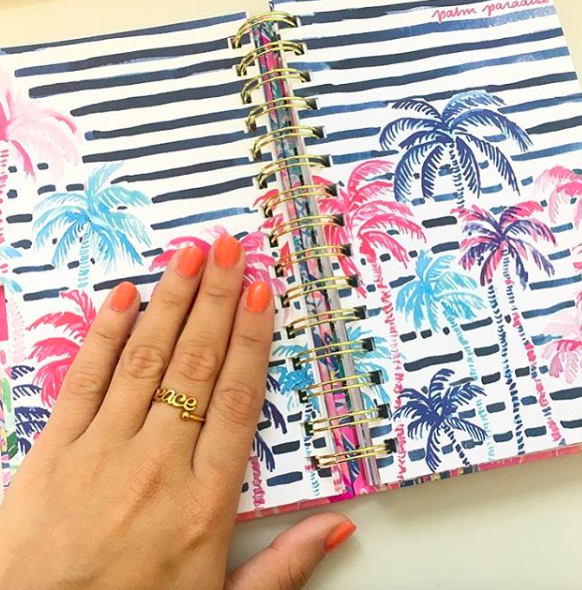 It was National Planner Day this week and we all can officially use our Lilly agendas! For now, let's get into my favorites of the week! Reusable beauty products are LIT. I love all of these items!